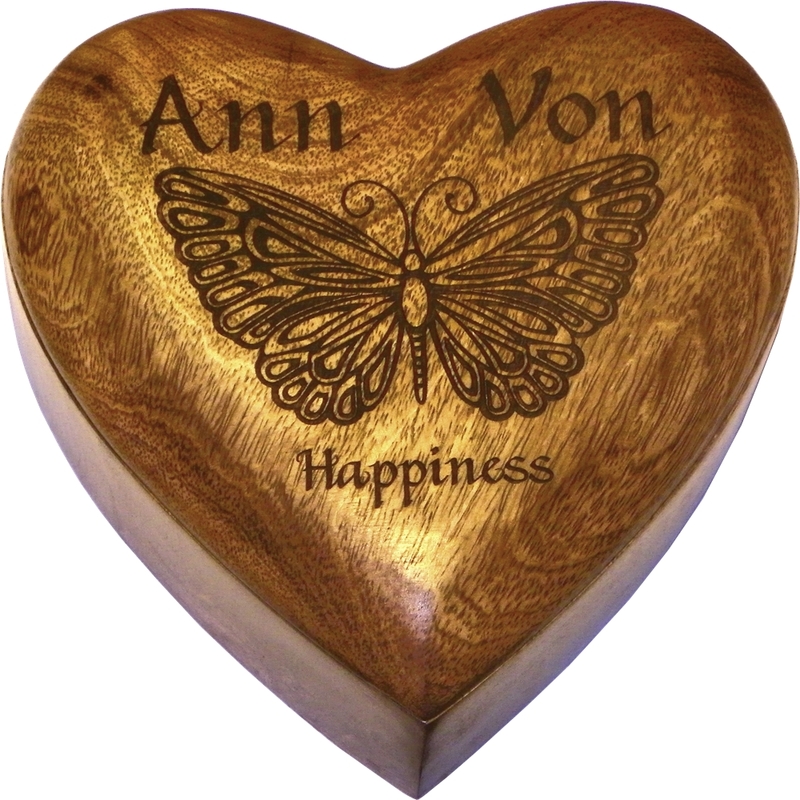 Medium heart shaped box carved from solid mangowood. The lid is totally removable. Lovely waxed finish. As with all waxed items they will improve with age and frequent waxing. 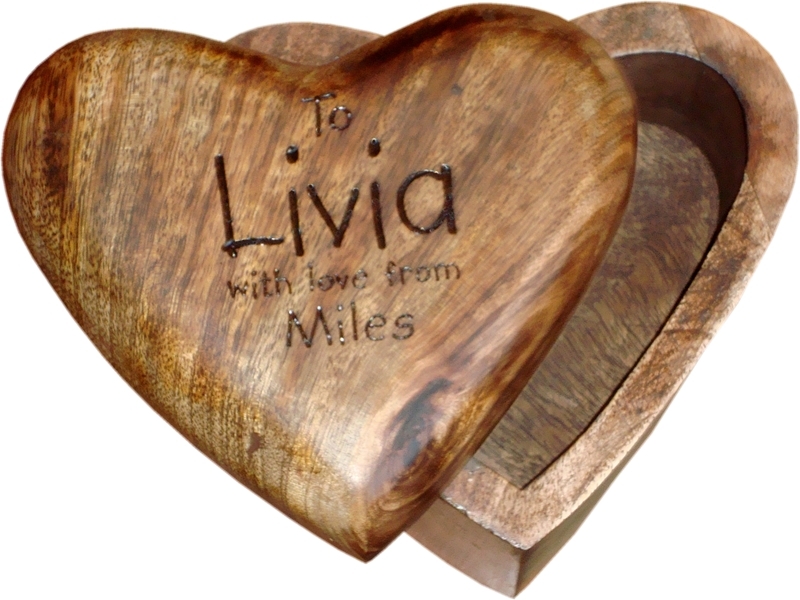 Perfect for a wooden anniversary present, or just as a gift for the love of your life! Size 7" x 7" x 3". 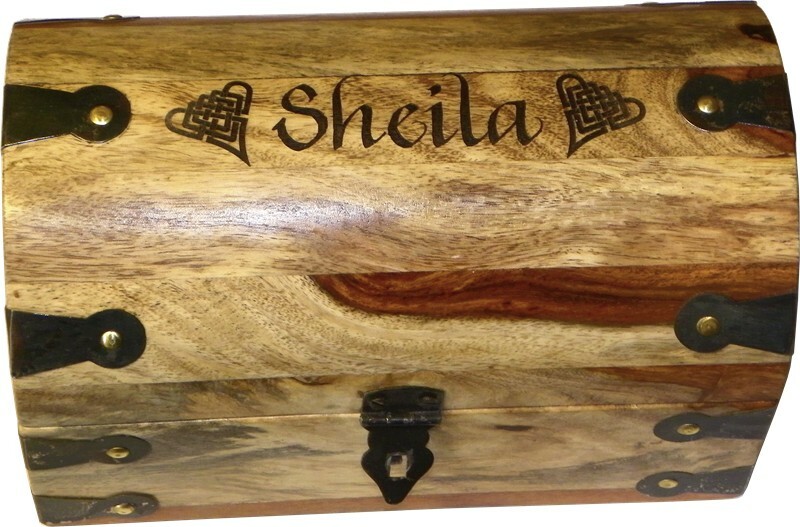 Postage and packing for this box is £5.50 anywhere within the UK.